Robert J. Dunkle, Ph.D. is a trained Clinical Neuropsychologist who has worked at Neuropsychological Services of Westchester (NSW) since 1995. Dr. Dunkle is a licensed Psychologist in New York State. His responsibilities at NSW include performing neuropsychological assessments of both children and adults, interpreting those assessment results, designing appropriate assessment based treatment plans, and then coordinating, supervising and adapting the services in order to create an integrated treatment model. He also provides individual psychotherapy, family therapy, and group therapy. In addition to his role as a therapist, Dr. Dunkle also works individually with children who have learning disabilities to assist them with understanding their disability and learning how to apply specific remedial strategies to their everyday lives. He also teaches stress management techniques utilizing Biofeedback. Dr. Dunkle is knowledgeable in sports related injuries, and specializes in treatment and management of sports concussions. He consults with many private and public school districts in Westchester County and is a member of numerous school based Concussion Teams. As a member of the school team Dr. Dunkle is responsible for reviewing each Impact Test and then weighing in with his recommendation as to the next step for the student athlete. Presently, Dr. Dunkle is a member of the New York State Psychological Association, as well as The Society for Cognitive Rehabilitation, and The National Academy of Neuropsychology. He is also the chairperson of the Westchester Brain Injury Association Chapter, and has co-facilitated a support group for traumatic brain injury survivors since 1998. Dr. Dunkle received his degree in Clinical and Developmental Neuropsychology, and completed his pre-doctoral training at North Shore Children’s Hospital in Salem, Massachusetts which is affiliated with Boston Children’s Hospital. At North Shore Children’s Hospital Dr. Dunkle trained at the Behavioral Medicine Outpatient Department and at the Neurodevelopmental Center where he also received training in conducting neuropsychological evaluations for the diagnosis of learning disabilities and brain related disorders. His dissertation research focused on Memory Disorders with Children Diagnosed with Fetal Alcohol Syndrome and Fetal Alcohol Effects. 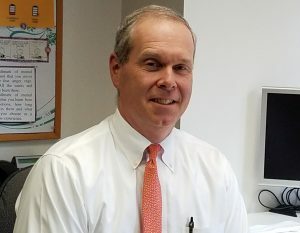 Dr. Dunkle joined NSW in 1995 and completed his post-doctoral training at both NSW and at Burke Rehabilitation Hospital an affiliate of Cornell University Medical College. Born and raised in the Boston, Massachusetts area, Dr. Dunkle continues to be a Red Sox and Bruins fan. He enjoys being on the water and spending time with his wife and two boys. Dr. Dana Haywood is a New York State licensed psychologist with specialization in neuropsychology. She has experience working with children, adults, and older adults, conducting comprehensive neuropsychological evaluations, providing cognitive remediation and rehabilitation, and providing psychotherapy, primarily Cognitive-Behavioral therapies. Her clinical experiences have included individual, couples, and group psychotherapies, addressing mood, anxiety, personality disorders, and acquired and developmental neuropsychiatric disorders, as well as providing supportive intervention for care-givers. 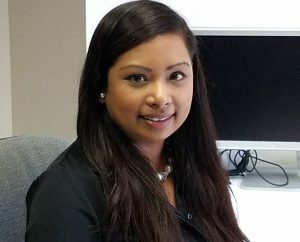 Specific to her clinical neuropsychology experience, she has experience working with individuals diagnosed with ADHD, Autism Spectrum Disorders, Seizure Disorders, Acquired and Traumatic Brain Injury, Dementia-type Disorders, Amnestic Disorders and memory difficulties, Learning Disorders, Mild Cognitive Impairment, and other Minor and Major Neurocognitive Disorders. Dr. Haywood completed her undergraduate degree at the University of Pennsylvania and continued on to obtain her Ph.D. in clinical psychology, with a concentration in neuropsychology, from Long Island University. During her graduate training, she was involved in neurocognitive research at the New York State Psychiatric Institute, as well as in cognitive-affective research and autism research. 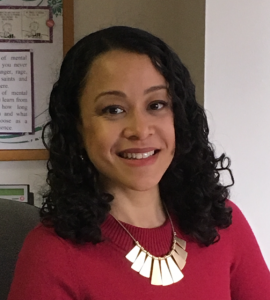 Dr. Haywood began her involvement in psychology research at the University of Pennsylvania, where she was a research assistant of the Penn Resiliency Project. Then, for several years, she was involved in a brain imaging study that assessed social-cognition in typically developed adults, as well as adults with high-functioning autism spectrum disorder. Dr. Haywood’s training also includes a one year pre-doctoral psychology internship at the New York Harbor Health Care System Department of Veterans Affairs, as well as a two year post-doctoral neuropsychology fellowship at the Promise Program of Morgan Stanley Children’s Hospital – Columbia University Medical Center. 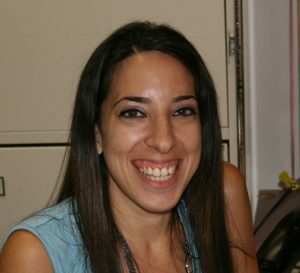 She joined Neuropsychological Services of Westchester after having been a full-time staff psychologist for the Adult Outpatient Psychiatric Clinic of Mount Sinai St. Luke’s-Roosevelt Hospital Center and faculty of Mount Sinai Icahn School of Medicine. In addition to clinical work and research, Dr. Haywood has also provided supervision and instruction in psychotherapy and continues to be, a service Dr. Haywood happily provides trainees at the Mount Sinai St. Luke’s Outpatient Psychiatry Clinic, as she finds meaning and fulfillment in helping the next generation of clinicians cultivate their skills. Elizabeth Ramdas, M.S., has worked at Neuropsychological Services of Westchester (NSW) since 2011. She is a certified School Psychologist in New York State. She worked full time at an elementary school where she conducted Psychoeducational Assessments to evaluate the psychological aspects of learning and of academic skills. She designed Individual Educational Plans and provided counseling for students struggling with social, emotional and behavioral difficulties. Mrs. Ramdas additionally instructs undergraduate students at Mercy College as an Adjunct Professor. At NSW, she conducts Cognitive Rehabilitation Therapy and assists with neuropsychological evaluations. She assists patients with relearning cognitive skills that have been lost or altered as a result of a Traumatic Brain Injury. She is a member of The Society for Cognitive Rehabilitation. Mrs. Ramdas graduated with National Honors from Mercy College. She received her Bachelors of Psychology from Manhattanville College. She is looking forward to continuing her education and pursuing her Ph.D. in Clinical Psychology with a concentration in Neuropsychology. Maria Martinez, has worked at Neuropsychological Services of Westchester (NSW) since 2005. As Office Manager at NSW she works as a direct support to all the staff members. She coordinates all office functions and works closely with the professionals. She is experienced at handling the initial phone call to the office and throughout each person’s treatment. She helps guide the patients in scheduling appointments, confirming insurance coverage, and coordinating the fees. She oversees all billing, payment posting, all front-end collections and accounts receivable. She can be found at the front desk and enjoys working closely with clients and their families. She looks forward to seeing old faces as well as meeting all new clients!